The Patty Kazmaier Award carries a special meaning and significance for Princeton freshman Sarah Fillier. 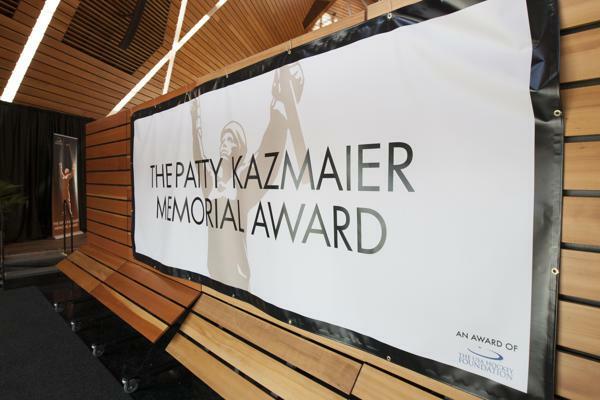 The prestigious Patty Kazmaier Award, presented annually to the top women’s college hockey player in the nation, is named in honor of the late Patty Kazmaier-Sandt, who was a four-year varsity letterwinner and All-Ivy League defenseman at Princeton from 1981-86. Fillier is excited to honor Kazmaier-Sandt after the freshman standout was named a top-10 finalist for the 2019 edition of the award last week. Kazmaier-Sandt, who also played field hockey and lacrosse, helped lead Princeton to the Ivy League championship in three consecutive seasons. She passed away on Feb. 15, 1990 at the age of 28 following a long struggle with a rare blood disease. Fillier, a native of Georgetown, Ontario, committed to Princeton in 10th grade, so she was well aware of the Patty Kazmaier Award and its significance. Fillier said she grew up knowing names of the winners on the list. Joining the list of finalists, some of them Olympians, was motivating and rewarding for Fillier. Entering her first season, Fillier was mainly focused on putting the program in contention for the Ivy League championship in addition to the Eastern College Athletic Conference (ECAC) and the Frozen Four. The Tigers already captured the Ivy League title for the first time since 2016. Fillier leads the nation in scoring and assists per game, averaging 2.04 and 1.35, respectively, but she noted an adjustment to Division I level, in addition to managing an Ivy League academic workload. In November, Fillier was named to Team Canada for the annual Four Nations Cup, which gave the standout freshman confidence. Fillier ranks among the nation’s leaders with 16 goals and 48 points, despite missing four games to compete in the Four Nations Cup. Fillier credited junior Carly Bullock and fellow freshman Maggie Connors for her top-10 nomination. Fillier was named the Hockey Commissioner’s Association Rookie of the Month in December and January, and also the ECAC Hockey Rookie of the Month for the same time period. She’s an ECAC Hockey Player of the Week, two-time ECAC Rookie of the Week, and NCAA First Star of the Week. Fillier tallied nine points during a six-game scoring streak, and a nine-game run totaling 23 points. She is the first Princeton skater with a five-point game since 2006 and has had 16 games with at least two or more points. One of the biggest learning experiences came when Fillier had an opportunity to play with experienced Olympians like Marie-Philip Poulin, Meghan Agosta, Jocelyne Larocque, Rebecca Johnston, Renata Fast and others. Photo courtesy of Shelley Szwast.